If you are a community manager, you will know to choose good tools to schedule tweets is vital to be productive on Twitter. It is impossible to spend 24 hours a day glued to the computer or smartphone to post … but good software can do it for you. Unfortunately there is no perfect tool, and all have their strengths and weaknesses. It is therefore important to analyze and experiment before deciding with which you are staying. What should you consider when choosing tools to schedule tweets? The number of clients with whom you work, and how many Twitter accounts manage each client. If you control a large number of accounts you may need to go for a more advanced tool or a paid version. Number of tweets with images that you usually publish. If you manage Twitter account on your own or as part of a team. If your priority is to publish, or also to monitor. Basic tool for many community managers, Hootsuite stands out for its ability to add columns and tabs which have everything under control. With Hootsuite you can post on various social networks, without a doubt its forte is Twitter. In Hootsuite you can assign a schedule to each tweet or let the tool itself publish it on a schedule with high impact ‘Autoschedule’ tool. Tweets sent, scheduled, lists, DM, responses, searches … Hootsuite can customize as you like and use it as a basic monitoring tool. What’s wrong with HootSuite? You have to upload the image file by hand to each tweet. And if you work with many Visual tweets, it can become cumbersome. Buffer is another tool to keep in mind in the panorama of social networks. The main feature of Buffer is that you select publication schedules in advance. Then you only need to add posts that will remain queued without worrying about anything else. 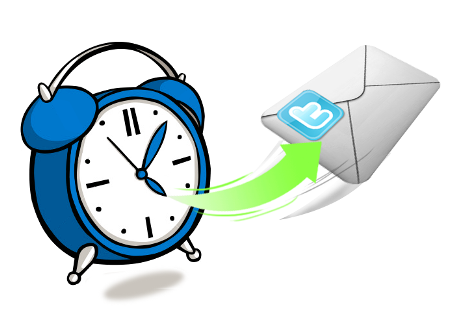 Although given the option to schedule messages at specific times, Buffer is perfect for accounts that do not need to carry a very precise control of the schedule that leaves every message. One of the strengths of Buffer is uploading images. Unlike Hootsuite, rising through its Chrome extension is automatic if you use the ‘Buffer this image’ function. Don’t miss to try this trick! Buffer does not serve to do monitoring of indications, DM or retweets. You will also need another tool to monitor. In Postcron we find two forms of publication: on a specific date and time for each post, the Hootsuite style, or in a number of preset schedules, as in Buffer. To tweeting images, you should only add the url of the file that you want to publish. And the images are published as native tweets from Twitter, without links. An interesting feature of Postcron is that, if you want to post the same message in two separate accounts, you can set a minimum time interval to avoid appearing at the same time. If you like post manually in Google+ and Facebook, and your main concern is Twitter, Tweetdeck is one of the tools to schedule tweets that you can consider. Ideal for community managers who do not have software budget. Like Hootsuite it can customize the columns to display the information that interests you. And it is free! It is one of the newcomers to the panorama of social media tools. To test it is necessary to ask for invitation. Edgar has as distinctive categories. To begin, you create a schedule where you determine which categories are going to publish at what time and on what day. For example, you can program every day at 9 AM publishes a message for the ‘Blog’ category, at 10 AM publishes a message for the ‘Humor’, at 11 AM for the category ‘Inspiration’… you create the categories and schedule. Then you just have to add tweets to the tail of each category. Edgar will publish messages in each category according to the schedule. When they have exhausted the tweets in a category, it will start again by the first published. It also has a category ‘Publish only once’ for content that you do not want to recur. With its system of categories Edgar facilitates alternate content types: own, foreign, inspiring, humor, advertising … without having to worry about manually program.